The purpose of the survey is to find out about public transportation goals and priorities for seniors and individuals with disabilities in your area. 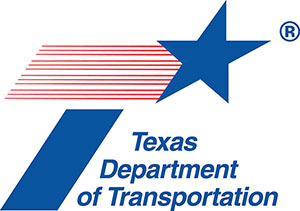 The Texas Department of Transportation administers funding to local public transportation providers and non-profit groups that serve seniors and individuals with disabilities with transportation and mobility services in rural and small urban areas of the state. The results of this survey will be used to inform local public transportation providers and be included in the scoring of program applications. * 2. Do you use a "smart" phone? * 3. Have you used any public transportation in the past 3 months? * 4. Which of the following would you use to describe yourself? Please check all that apply. * 5. Is it easy to find information about the public transportation you need? * 6. Is public transportation convenient for you? * 7. Is public transportation available when you need it? * 8. If you didn’t have public transportation, would you have another option? Please check boxes that apply. * 9. Which of the following service improvements would you make to your current public transportation service? Please check boxes that apply. * 10. What is the most important improvement you would like to see in your local public transportation? * 11. Please share any other comments on public transportation in your area.